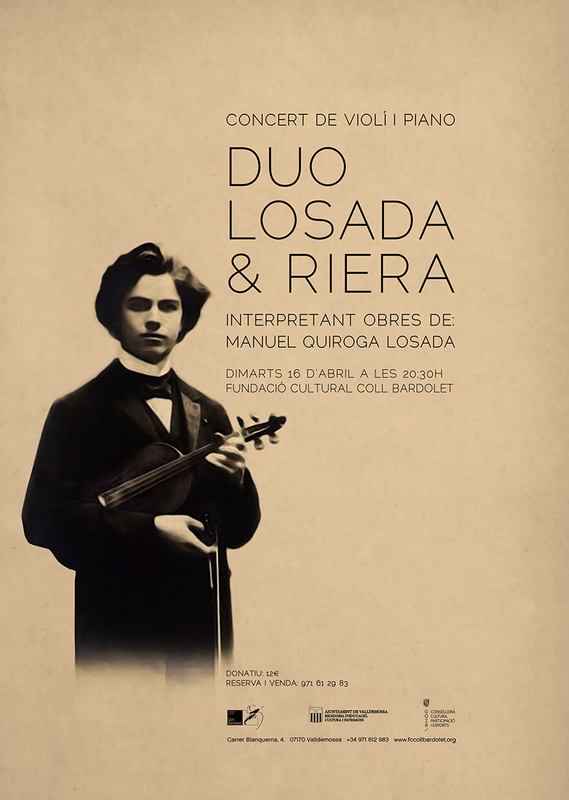 On Tuesday, April the16th at 8:30 p.m., the violin and piano concert will be held by Duo Losada & Riera. The Losada-Riera duet is made up of violinist José Manuel Álvarez Losada and pianist Andreu Riera, both professors of the Superior Conservatory of the Balearic Islands. This duo has performed concerts throughout the Spanish geography and is currently carrying out the recovery of the work of the Galician violinist Manuel Quiroga (1892-1961), one of the great performers of his time and who composed, in turn, pieces of concert of great brilliance and virtuosity. These works, mostly designed to be played by Quiroga himself as pieces of “bravura” in their concerts, are formed sprincipally by dances and songs in which the author uses materials of popular inspiration, both from Spanish folklore (Andalusian, Aragonese, Galician or Basque) and from overseas territories (Cuba or Argentina). CHILDREN’S ACTIVITY- DISCOVER THE ARCTIC. I CONFERENCES OF LOCAL STUDIES OF VALLDEMOSSA.